Property manager Lisa McInroy shown speaking to a tenant at 200 Columbine in Cherry Creek North. Photo credit: Jason Batch Photography. 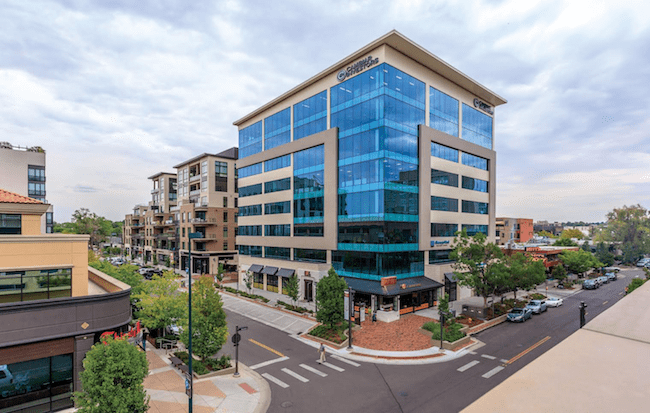 Western Development Group, a developer of premier mixed-use and residential properties in Cherry Creek North, has created a new property management company, Western Asset Services. While Western Asset Services is just hitting the ground, Western Development Group is not a new kid on the block as far as property management. Western Development has been “in the business of managing its own property” for almost 15 years, noted Lisa McInroy, who heads Western Asset Services. 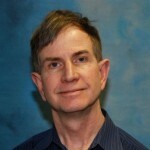 McInroy, vice president of property management, has managed all types of commercial real estate for almost 30 years. She joined Western Development in 2007 to manage properties owned by the privately held company. Among other properties, Western developed the $100 million mixed-use 250 Columbine in Cherry Creek North. Other properties developed or owned by Western include NorthCreek and 101 University. 250 Columbine, a $100 million mixed-use development in Cherry Creek North, is part of the in-house portfolio managed by Lisa McInroy’s team. Now, Western Asset Services will not only manage its own properties but also provide third-party management services for properties not in its portfolio. “I think there is unlimited potential” for the new property management division, McInroy said. “We not only have the property management capabilities, but we have a full team of construction professionals in house that can provide services like planning, bidding, project management and construction oversight,” McInroy continued. The timing was right for Westen Development to launch a property management division. “There is kind of a lull between development projects, which gave us a chance to review and fine-tune the process and our procedures,” McInroy explained. 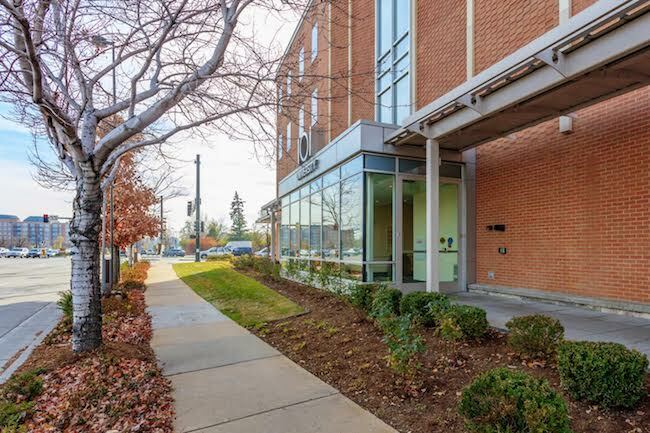 101 University is an in-house property managed by Western Asset Services. McInroy started her property management career in Northern California, when her boss took a long-term leave of absence. “I jumped in and took over her role and realized I had a knack for it,” said the Maryland native, who went to college in Colorado. “I have a degree in sociology, of course,” she quipped. Sometimes, managing properties in her early days was pretty scary. One office building she managed in San Francisco at the time was near an infamous drug trafficking corner. That area now, of course, is extremely trendy and expensive, with nearby condominiums commanding sale prices of $1,000 per square feet or more. 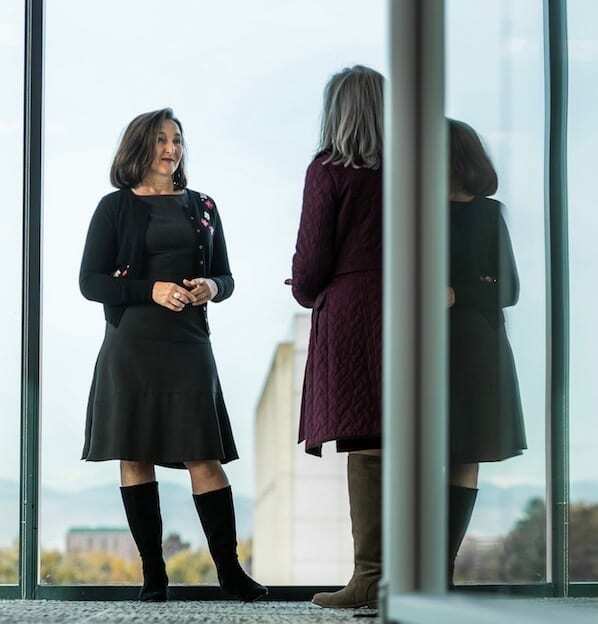 When she returned to Colorado, she managed properties for companies including Prime West and what is now Newmark Knight Frank before joining Western Development more than a decade ago. “During my career, I have managed a little bit of everything – industrial, office, retail and mixed-use,” she said. She also has served as the developer representative on the HOA board for condo projects, she noted. She said one key lesson she has learned, no matter the property type, is the building owner “wants to be listened to” and demands the property management company provide quick and appropriate steps to keep the tenants happy and the building humming along seamlessly. Indeed, managing a building is more complex than many property owners realize. “It’s just not mowing the lawn on Saturday,” she said. In fact, Western Asset Services’ first third-party assignment is for a small multi-tenant building in Lakewood owned by McInroy’s osteopath. When she was getting an adjustment in his office, her doctor complained to her about all of the unexpected headaches of managing his building. “You do know what I do for a living? We need to talk,” she said, and they did. She is convinced that there is an untapped market with small building owners who are overwhelmed, but she is not sure that will be the main focus of Western Asset Services. “Ideally, it would be nice if we could draw a 5-mile circle around Cherry Creek North and serve buildings in that radius,” McInroy said. There is no economy of scale in managing buildings in a wide geographic area, as managers would always be on the road visiting properties. “We’d like to keep it a little bit tight” geographically as “windshield property management” is not optimal, she said. McInroy knows that Western Development is enterting a crowded field with Western Asset Serices. “The fact is, we are small,” McInroy said, and she doesn’t expect Western Asset Services to go head-to-head with the big, national palyers. But small can be an advantage, as a building owner can call the team members and expect a quick turnaround.